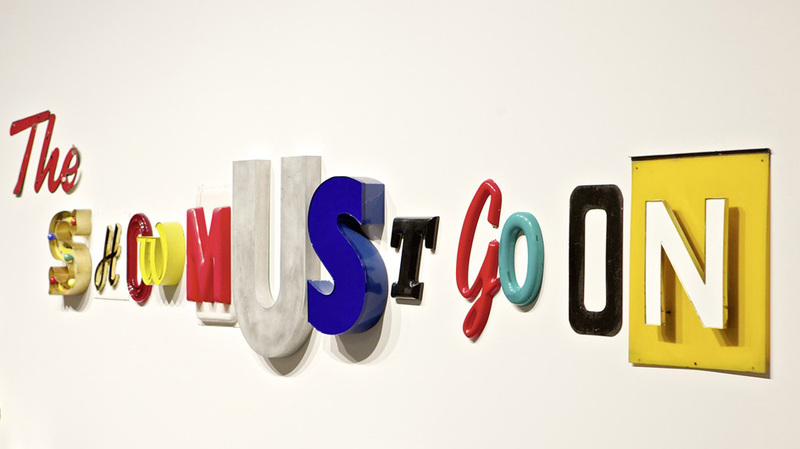 Art Basel 2014, Jack Pierson. 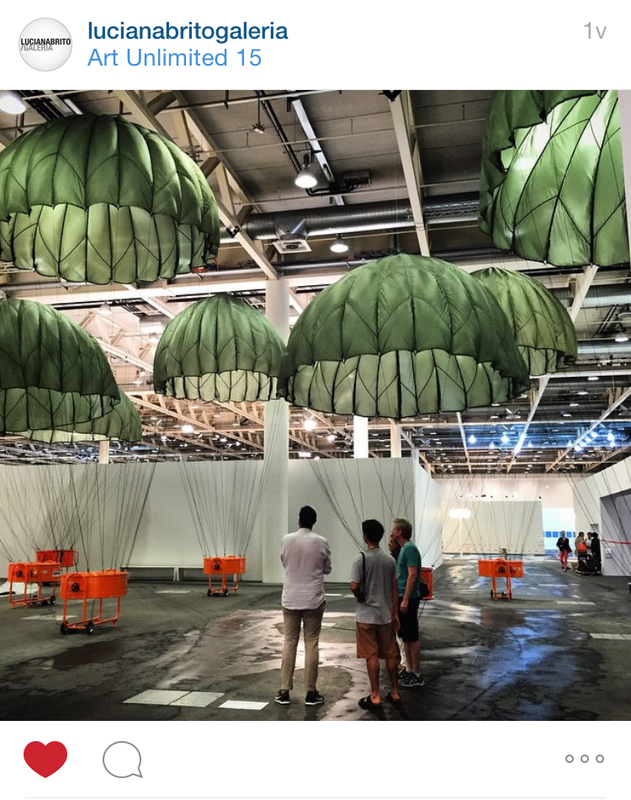 Last week Art Basel 2015, the 46th edition, took place in the Swiss city of Basel. The show presented 284 galleries from 33 countries and exhibited the work of over 4,000 artists. Around 98,000 people attended over the six show days and the fair went beyond expectations both on sales and visits. 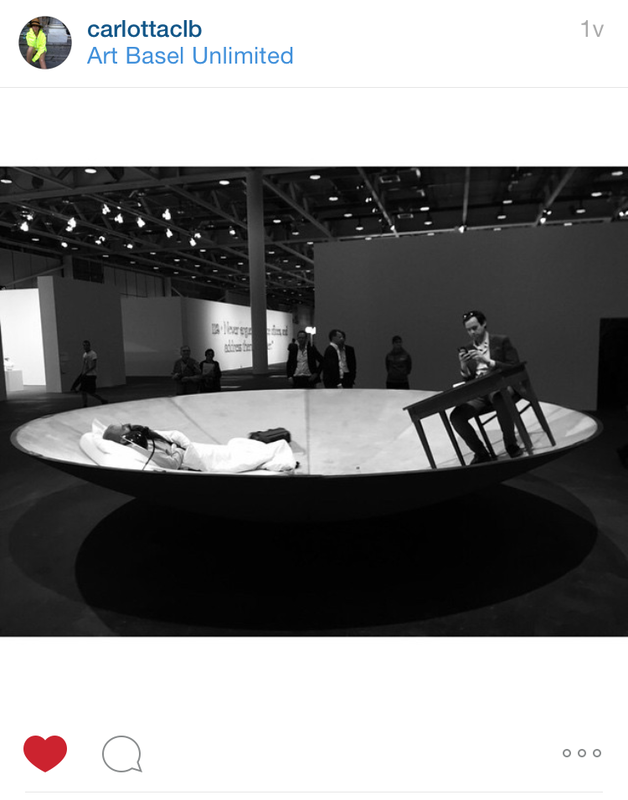 Art Basel stages the world’s premier art shows for Modern and contemporary works, sited in Basel, Miami Beach, and Hong Kong. Defined by its host city and region, each Art Basel show is unique, which is reflected in its participating galleries, artworks presented, and the content of programming produced in collaboration with local institutions for each edition. 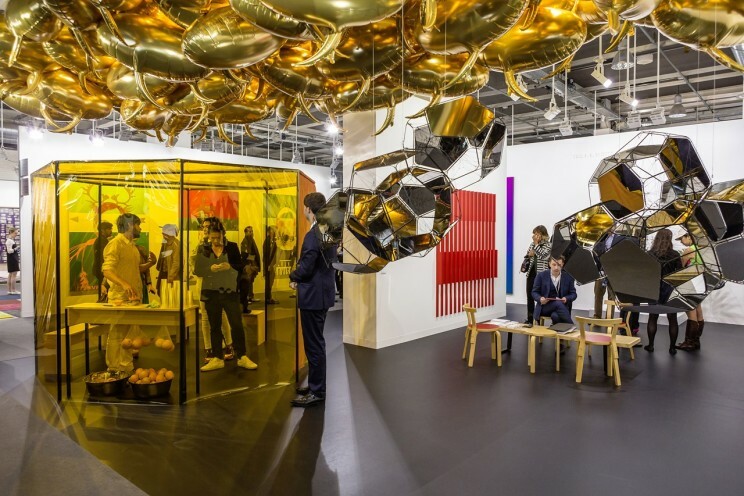 In addition to ambitious stands featuring leading galleries from around the world, each show’s offers visitors new ideas, new inspiration and new contacts in the art world. Stephen Friedman Gallery, ‘Life Model’ by David Shrigley. Esther Schipper Gallery at the Galleries Sector. The show in Basel is divided in 8 different sectors, Galleries, Feature with curated projects and representations of different cultures/generations/artistic opinions, Statements with solo projects by emerging artists, Edition with leading publishers, Unlimited Art is a platform for projects that transcend the limitations of a classic art-show stand, Parcours is about the city’s history and art, Film is a program of film by and about artist and Magazines, art publications for around the world. 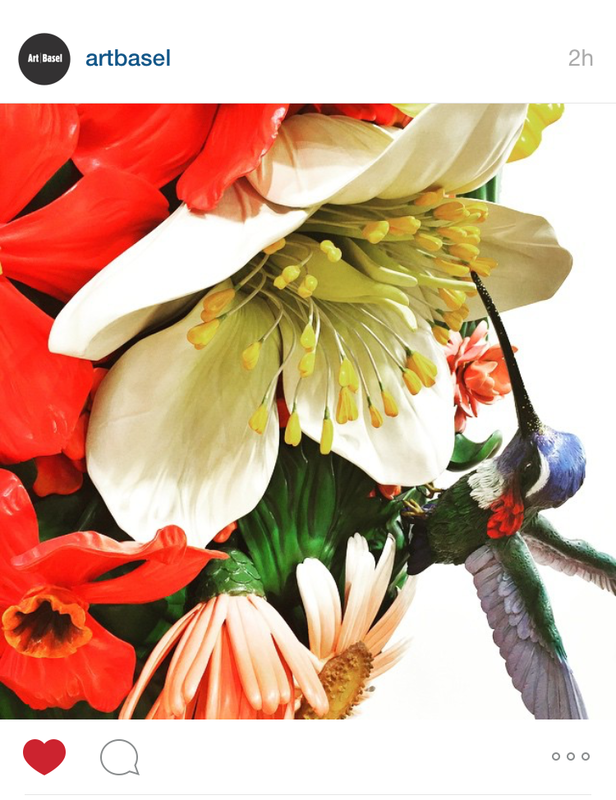 For those who couldn’t attend this year, Instagram has been one of the easiest ways to be updated with the latest news from the fair, showing the visitors favorite art pieces and performances. 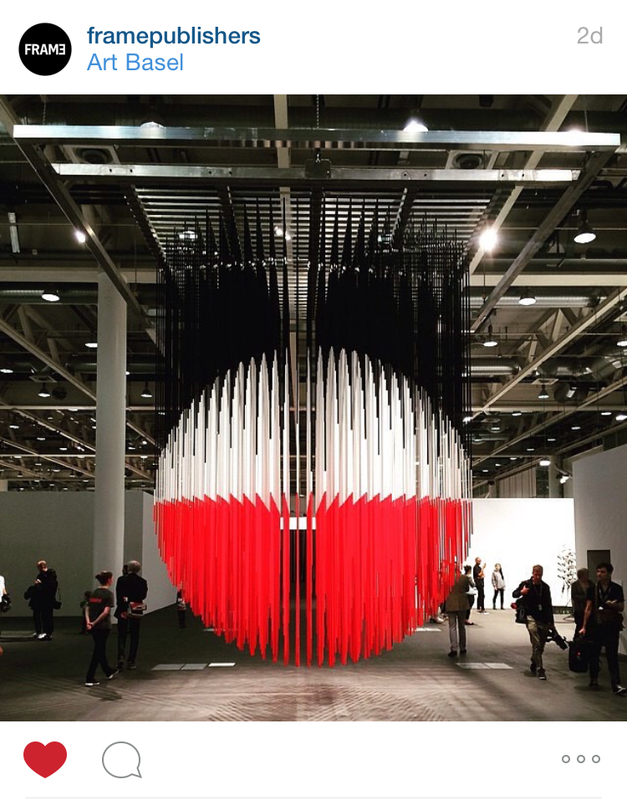 We have selected the top 10 pictures, which sums up this years Art Basel edition. 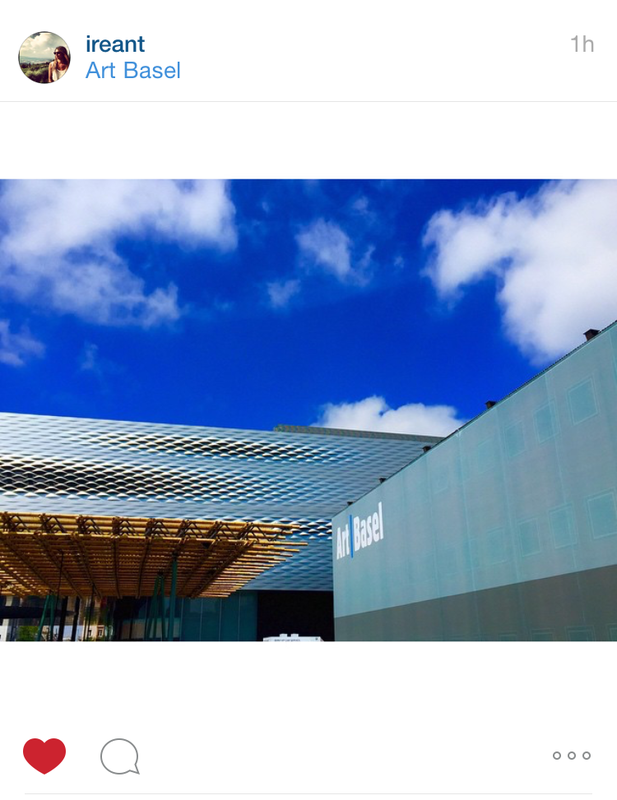 The entrance of Art Basel. It was designed by Swiss architect firm Herzog & de Meuron. Jacques Herzog and Pierre de Meuron are behind other incredible projects like Allianz Arena in Munich, Prada store in Tokyo and Caixa Forum in Madrid. 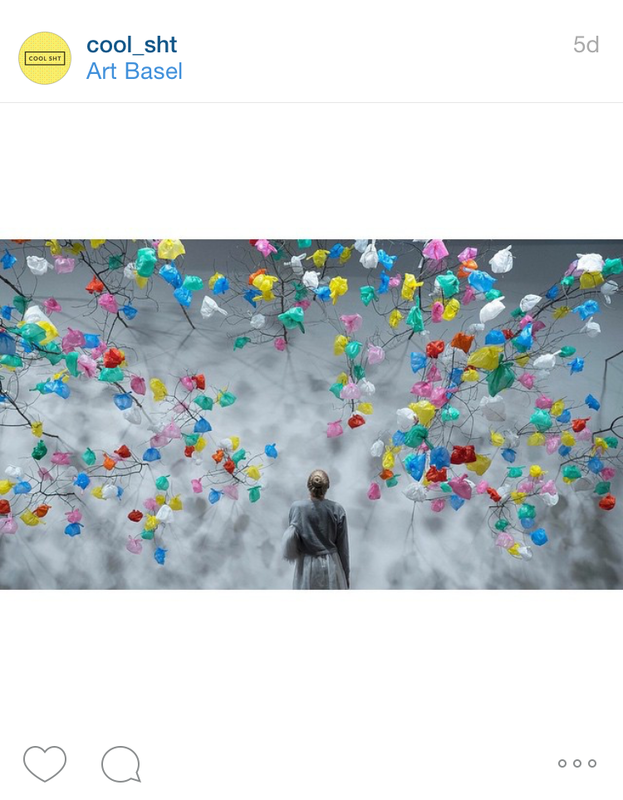 ‘Plastic Tree’ by artist Pascale Marthine Tayou. The plastic tree represents the horrible effects of pollution on the environment. 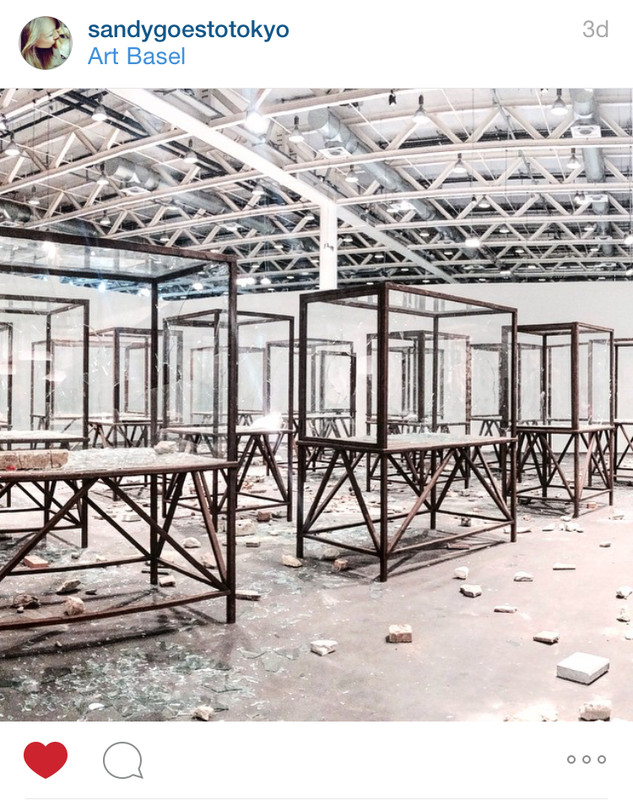 Kader Attia‘s ‘Arab Spring’, the reenactment of the destruction of the Egyptian Museum in Cairo during the Egyptian Revolution in 2011. 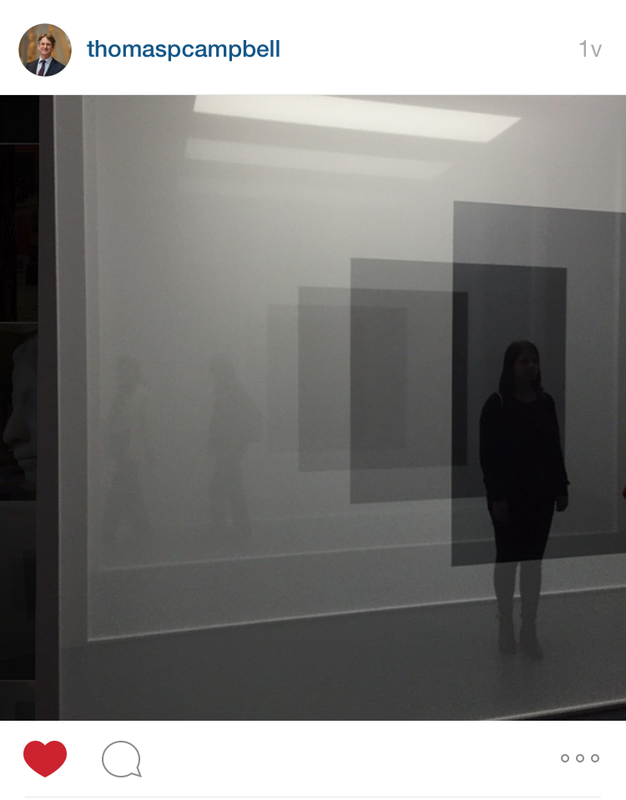 ‘Black 3’ by American artist Robert Irwin, Pace Gallery. Part of the Unlimited Art sector. Jeff Koons ‘Oiseau’. 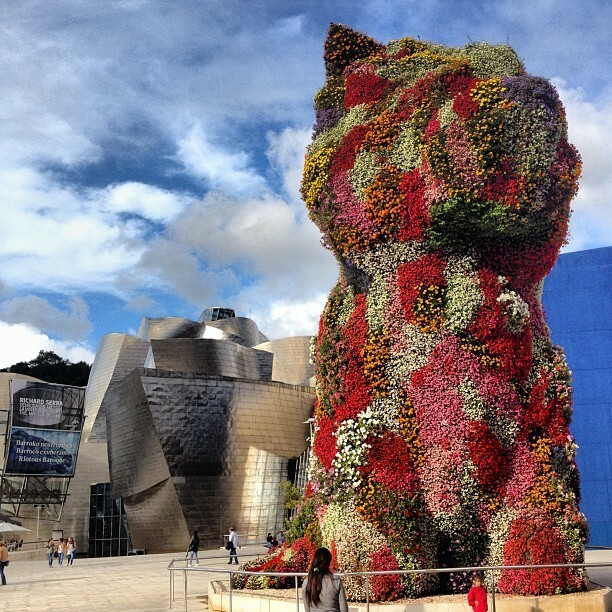 Some of his famous projects you will find the series of Balloon Animals in stainless steel and the Puppy in Bilbao. 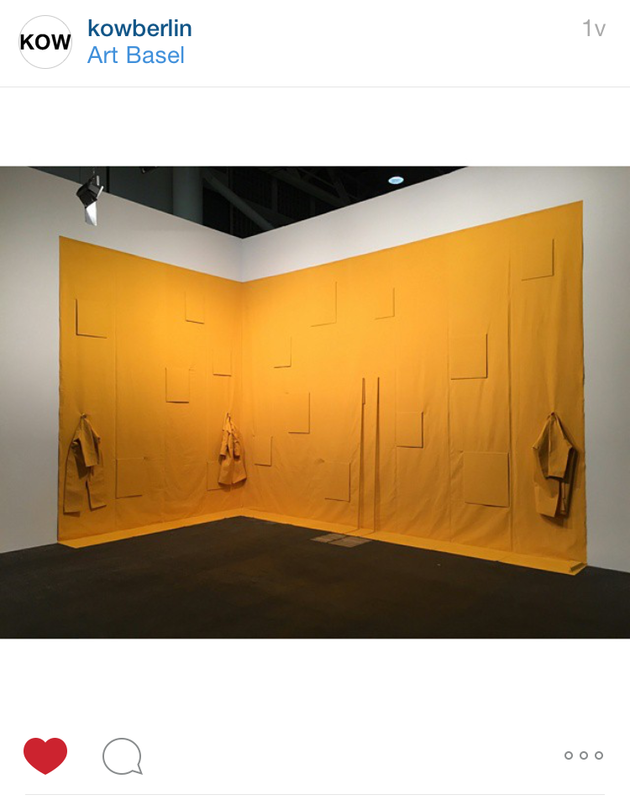 ‘Wallformation Gelbmodellierung’ by German artists Franz Erhard Walther was performed at Art Basel this year for the first time since 1989. OG-107 by Mexican artist Héctor Zamora is an installation of 9 parachutes attached to blowers. Olafur Eliasson‘s ‘Your Space Embracer’. “A ring of mirrored glass rotates slowly, suspended centrally from the ceiling of a darkened gallery space. 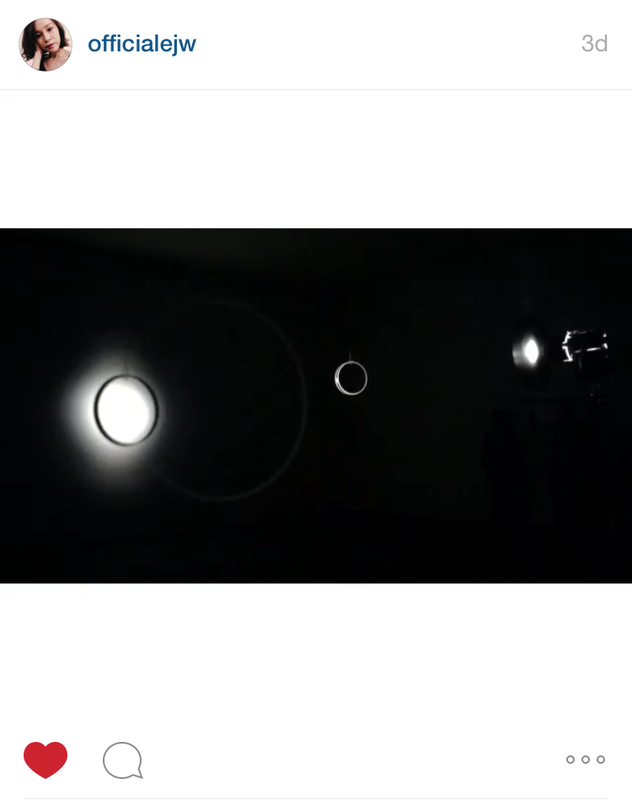 Placed on a tripod, a focused spotlight projects light onto the ring so that only the area of the ring is illuminated. The beam of light creates a shadow behind the rotating disc, as well as an arc of reflected white light that slowly scans the room.”. ‘Egocentric System’ by Julius von Bismarck is a concrete paraboloid (a creation of a domestic space: a workspace, a kitchen) that rotated during the whole show, for 6 days. The idea came after a night out clubbing. Read an interview with the artist here. ‘Sphère Lutétia’ by Venezuelan artist Jesús Rafael Soto was built in 1996 and represents some of Soto’s discoveries and obsessions, like immateriality, monochrome and vibration. The artist died in 2005.